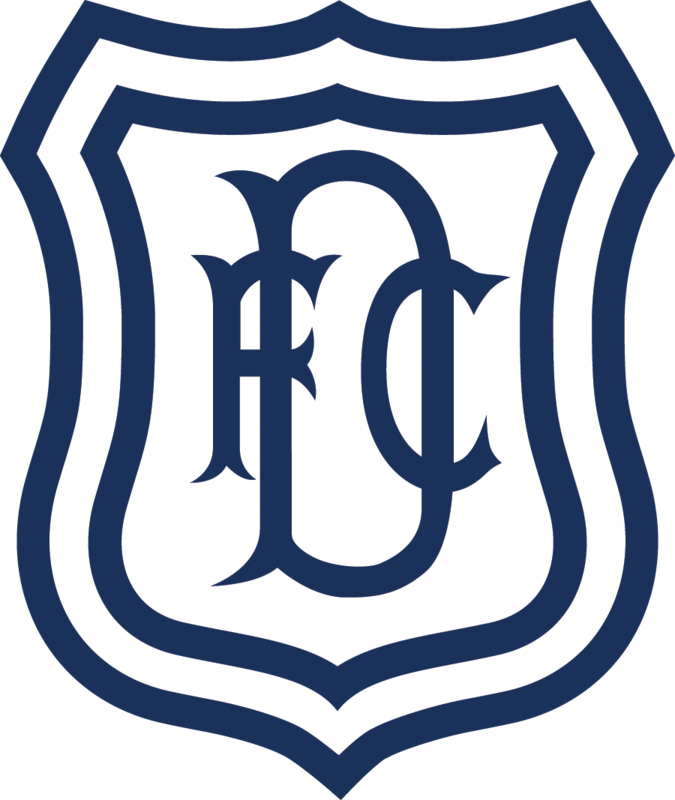 Dundee beat Cowdenbeath 1-0 at Central Park in their second pre-season friendly. Matty Henvey scored the only goal after 72 minutes. The Dark Blues used 22 players tonight with Jack Hamilton and Elliott Parish playing one half each in goal. All 10 outfield players were replaced around the hour mark. On a poor and bumpy pitch both defences had a fright in the opening minutes. Jack Hamilton miskicked a clearance from a backpass but the Dee defence crowded out Robbie Buchanan before he could take advantage. Ryan Goodfellow in the Cowdenbeath goal was soon called into action when Elton Ngwatala’s skillful run and fierce, low cross from the left caused problems for the home defence. The keeper beat away the cross and Craig Wighton couldn’t force the ball home in the resulting scramble. Wighton caused more trouble on the left with a good run and low cross that flashed through the goalmouth. Dundee were dominating possession and pressing Cowdenbeath back, but the home side posed problems in their few serious attacks. Kris Renton won a high, looping cross dropping beyond the far post and Hamilton had to block his close range shot at the expense of a corner. Midway through the first half Ngwatala brought a decent save from Goodfellow with a low 18 yard shot. Nathan Ralph then went close from a corner: his powerful header zipped past the post. 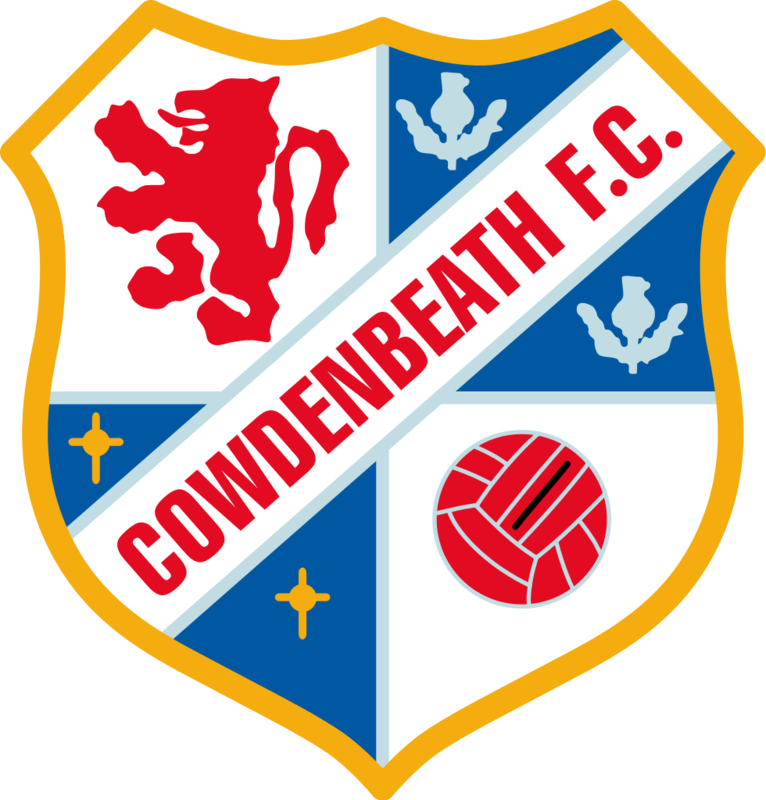 The Dark Blues remained on top, passing their way through the midfield and probing Cowdenbeath’s defence without causing them serious problems in the latter stages of the half. Early in the second half Ngwatala pounced on a loose pass but was brought down just outside the penalty area before he could shoot. Randy Wolters fired the free kick past the post. Minutes later the same player cut in from the right and shot from 25 yards but Goodfellow saved well. At the other end Renton went close, stabbing the ball over the bar from Sheerin’s knock down. The Dee’s mass change on the hour mark brought three trialists onto the pitch, at right back, central defence and left attacking midfield. The right back had played at Brechin on Friday at left back. Unusually Cammy Kerr was playing at left back. Cowdenbeath almost took advantage before the new line up settled down. Renton passed up their best chance of the match when he ran clear, only for Parish to race out and smother his shot. Matty Henvey’s pace and willingness to make runs beyond the defence was giving Cowdenbeath uncomfortable new problems and this brought the only goal after 72 minutes. Callum Moore looked up and from deep inside his own half played a long pass over the top of the defence. HENVEY raced clear and finished neatly, lobbing the keeper to score. Four minutes later Henvey almost repeated the trick, racing clear onto a pass from Paul McGowan, but Goodfellow got just enough of a touch on the shot to send it outside the post. Goodfellow had to make another good save, tipping a deflected cross from the trialist full back over the crossbar. Right at the end Goodfellow saved superbly to keep out Kerr Waddell’s ferocious header from a corner, and Jack Lambert scooped the loose ball over the bar. 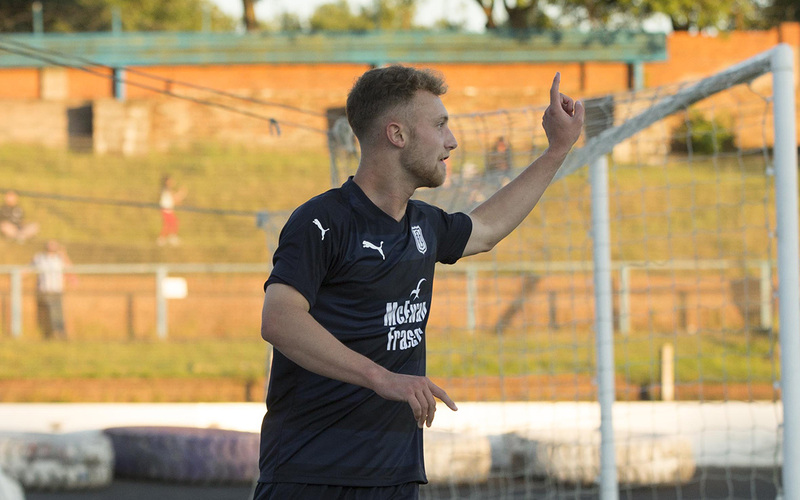 Dundee showed plenty of neat football and patient possession in the first half, but without creating enough real danger to the Cowdenbeath goal. After half time, and particularly when the new team came on, they were more direct, without sacrificing the passing game. All the newcomers showed promise and in particular the youngsters can be pleased with their contribution when they were given their chance in the last half hour. That’s the last of the public friendlies. Now the players head off to Portugal and the next opportunity to see them in action will be at Stirling in the Betfred Cup on July 14th. Booked: Pyper (foul on Ngwatala). Referee: Barry Cook. Assistants: Dougie Potter, Gordon McCabe.